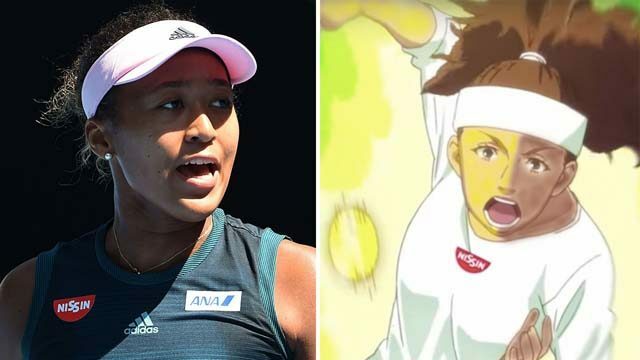 A Japanese noodle company has apologised for “halfing” Australian Open semi-finalist Naomi Osaka in a cartoon advertisement. Instant noodle brand Nissin was forced to retract the advertisement after criticism on social media for depicting Osaka as a half-yellow-half-black-skinned woman. A Nissin spokesman apologised saying the cartoons were drawn in line with popular beliefs. “Her yellow side is the forehand side, which is a lot more powerful,” the spokesman said in a written statement. In the cartoon advertisement, Osaka loses the majority of her points through unforced backhand errors.